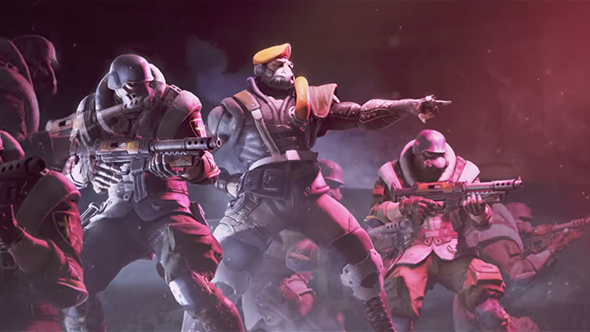 Raiders of the Broken Planet, MecurySteam’s asymmetrical sci-fi shooter, is being relaunched. With the release of the game’s fourth campaign, Council Apocalypse, the title will go free-to-play, and will be renamed as Spacelords. While previously only the game’s tutorial and prologue missions were free, the launch of Spacelords on August 23 gives players access to all four campaigns (a total of 16 multi-stage missions) at once, accessible in any order you choose. There’ll also be a new progression system, allowing players to access the game’s entire character roster. The progression system isn’t the only part of the game that’s been changed ahead of the relaunch. The game’s onboarding and tutorial process has also been tweaked to help new players deal with what can be a punishing melee combat system, as well as pointing out some of the more in-depth aspects of character builds. When I first played Spacelords ahead of its original launch, I found an innovative and enjoyable, if complex and occasionally punishing shooter. That said, I felt an episode-style format and a crowded release window (Raiders launched just a few weeks behind Destiny 2) might hold the game back. Now that the game’s vision has been more fully realised (and the price tag has been removed) Spacelords will be worth trying out.